The first day of October, the first day of the new month. A good opportunity to write about a new start on Islay with some pictures I received yesterday from Port Ellen. 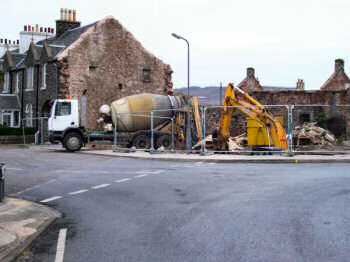 Most recently I've written about the last wall standing at the Islay Bar and the last stage of the demolition of the Islay Hotel in Port Ellen. After the destruction the work has now moved on to rebuilding, the first signs of the new hotel have started to appear with the foundations being laid. 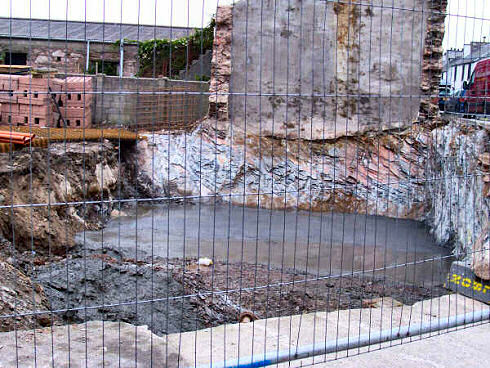 Above you can see the concrete being delivered, below the first layer in place on the Charlotte Street end of the site.